That being said, while I may understand certain misconceptions due to its rather feminine appearance, to not allow yourself they joy that is a great glass of dry rose is nothing short of criminal. While I will concede that yes they are similar in color, that is the ONLY commonality between white zinfandel and a true rosé. Aside from being an extremely versatile wine when it comes to food pairing, rosé can be a wonderfully refreshing departure from your comfort zone. They also vary greatly in both flavor profile and weight, so there really is something out there for everyone. From chard lovers to merlot fanatics, there’s a shade of pink for every palate. Rosé wine is historically made from only red grape varieties. Wine gets its color from the skins of the grapes, which contain both the pigmentation and tannins found in red wines. When the intended result is only a rosé, the method of production used is known as “skin contact”. The red grapes will get crushed almost immediately after arrival at the winery and are left for a short period (a few days typically) to remain in contact with the skins. Periodically the winemaker will check the wine for color and flavor. After the desired taste and hue are achieved the grapes are then pressed, and the resulting juice is “evacuated” from the grape skins -which are usually discarded at this point- and is left unadulterated for the remainder of fermentation. Ergo, the longer the juice remains in contact with the skins, the more intense the flavor and color saturation. Another method producing rosé is known as saignée, or “bleeding the vats”. 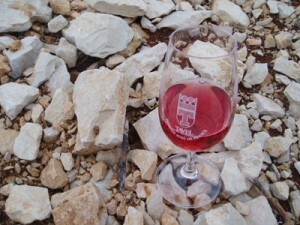 When a winemaker is producing a red wine, after a short period of time he or she my extract a small amount of pink juice from the batch to be fermented separately as a rosé wine. This also helps to produce a more intense red wine, as the amount of juice in the vats is now decreased and therefore more concentrated. The third (and least traditional) method comes from simply blending white and red grapes to achieve the desired results. While this has historically been a preferred method of production in Champagne for their rosés, even there it is now less common. As a matter of fact, in France (who accounts for about 30% of the worlds rosé production) the blending of white and red grapes as the sole to produce still rosé wine is viewed by many with great disdain. If there is one area in the world synonymous with great rosé, it’s the Provence region in France. The Cotês du Provence is the largest sub-region of the area, with about 80% of all the wine produced here being rosé. 60% of t­he blen­­d­ must be composed­ of gr­en­­a­che, cin­­sa­ult (San-So)­, mour­ved­r­e a­n­­d­ tibour­en­­, and 20% of it must be produced in the saignée method. While young winemakers in the region are starting to shake things up a bit by using more oak and cooler fermentation tanks, you can pick a truly traditional Provence rosé out of a line up by looking for the “skittle”, a bottle shaped like a skinny bowling pin. It will typically be a medium hue of reddish pink, not unlike the colour of salmon. These wines will be dry with citrus undertones and a nice level of acidity, making them a wonderful choice as a first course wine. Situated on the Mediterranean in the SE corner of France, Provence is a must visit. It not only enoys a typical Mediterranean climate, but also boasts an extremely diverse topography. Over 400 species of birds reside in the beautiful Carmague river delta. In the south the pristine azure beaches seem lost to the world, while up north the jagged mountains and deep river gorges tuck away historically rich communes like Moustiers-Sainte-Marie, a cultural staple and pottery mecca for centuries. Provence has a long and rich culinary tradition as well. Interestingly enough, the region’s cuisine is more akin to that of northern Italy than the rest of France. Unlike in the rest of the country, butter and cream take a back seat to olive oil. Heavily weighted of fresh fruits, veggies and fish, the food is healthy and rich at the same time. Not unlike the culture. Another area of Provence that’s famous for rosé is Bandol. It lies in close proximity to Marseilles, with the warm coastal climate being a great place to grow the red varietal mourvedre. 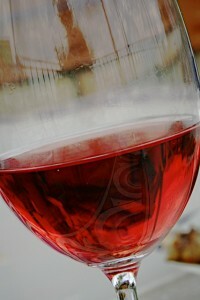 For this reason 50% of the rosé wine blend must be Mourvedre, with the remaining portion being grenache and cinsault. These rosés are typically a more pale shade of pink, hinting at aromas of fresh strawberry. Dry and elegant with hints of minerality, they are a phenomenal choice for any white or flaky fish. In southern Rhone, a region in France famous for its amazing red wine, there is a small region known as Tavel, whose designation is solely to produce rosé wine. Typically a blend of grenache, cinsault and clairette, Tavel rosés can actually enjoy a couple of years of cellar time and temper out a bit. A darker (almost ruby) hue of pink is common in these wines, and as such they can be a bit heavier than their Provencal cousins. They enjoy a wonderful bouquet of rose petals and fleshy fruits, and have a great bit of finesse on the palate. 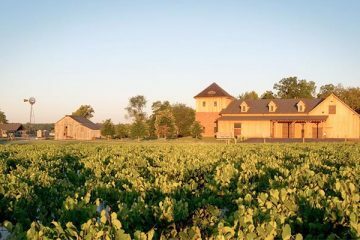 For those of who thought this was an article about gardening and have no idea what Bordeaux is, it is arguably the most famous wine region on earth. Producing not only some of the most sought after and highly regarded red wines the world over, but also boasting stately desert wines that can age for decades and some incredible white offerings as well. However, that’s another topic that we’ll leave alone for now. Today, we focus on the rosés of Bordeaux. Bordeaux rosé ranges from pale rose to a almost completely red, brilliant garnet hue. Predominantly either cabernet sauvignon or merlot often blended with cabernet franc, these roses are often quite stunning. Slightly dry, they typically will have wonderfully floral aromas and notes of red fruits and berries, and finish deep with more weight than one might expect. There are few things that conjur summertime imagery for me more than a great bottle of Bordeaux rosé. Out on a porch with a gentle breeze, the smell of fresh linen and wet grass with puffy white clouds dotting the mid afternoon sky. It almost makes me forget that I had to dig my car out of 3 feet of snow two hours ago. Of course pretty much every wine producing country on earth churns out some Rosé, yet for me France is really the only one who gets it right. I have yet to find a New World rosé that really does it for me, especially when there are so many amazing and versatile French offerings at incredibly great prices. Great article! We released our first Rose’ this spring at yellow Farmhouse Winery. It’s a pure varietal made entirely from Chambourcin grapes. We were surprised at the public’a acceptance of Rose’. It’s like they have been “Rose’ starved” and can’t get enough. Amazing what California wine marketers have done to the market with their White Zinfandel callig it “blush wine”. It’s great to have real French-style rose’ back. Many people are surprised that it is dry. White Zin has created the expectation that Rose’ will be sweet. There is a softness in this wine that is hard to explain. It is a great summer wine and pairs well with fruits and salads, but our best pairing is with fried chicken!